for $545,000 with 3 bedrooms and 2 full baths. This 2,400 square foot home was built in 2018 on a lot size of 179206 Sqft.. 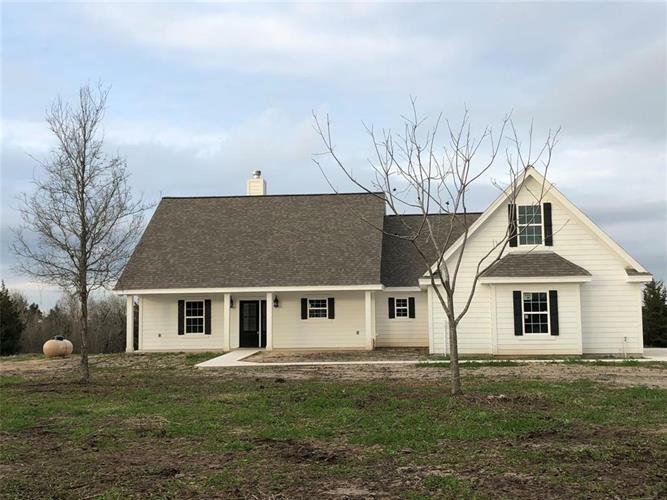 This Beautiful Farm House sits on 4.11 Acres with 3 Bed -2 Baths with an upstairs Game Room/Office or 4th Bedroom, A Woodburning Fireplace, Cathedral Ceilings with stained shiplap, Tile Floors that look like Hardwood, Large Chandelier will fill the D/R with light. Recessed lighting throughout. The kitchen is bright with Granite Counter Tops, GE Top of the line Adora Stainless Steel Appliances, Breakfast Bar, Huge pantry, Custom Shaker Style Cabinets and a Deep Farmhouse sink. Lots of Counter space and Drawers. The 2nd living room has a built-in Entertainment center. 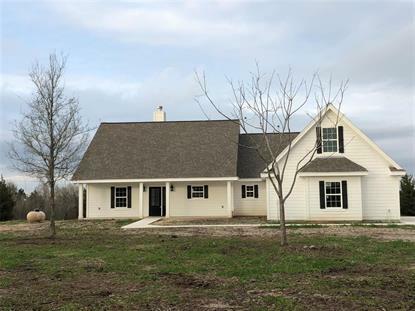 Lots of Windows, French doors lead out to the huge deck & back yard, The Master Bedroom is spacious with the shiplap ceilings and Master bath has a Slipper Style claw foot tub. Large walk-in shower, Huge his/her closets/Large linen closet, The Bedrooms are carpeted with extra plush padding. The Laundry room is full of storage. The Backyard/Deck have an amazing view of the rolling hills overlooking independence.